Oral Care Major Colgate Palmolive India has set up a new toothbrush and paste manufacturing facility at Sanand, Ahmedabad to make Colgate products for both the local market and for exporting. Wallflower Software is being used at the plant to display Health & Safety messages, Production Graphs, Manufacturing Data, Training videos and other Staff related information. It is also used to display Welcome Messages for visitors. 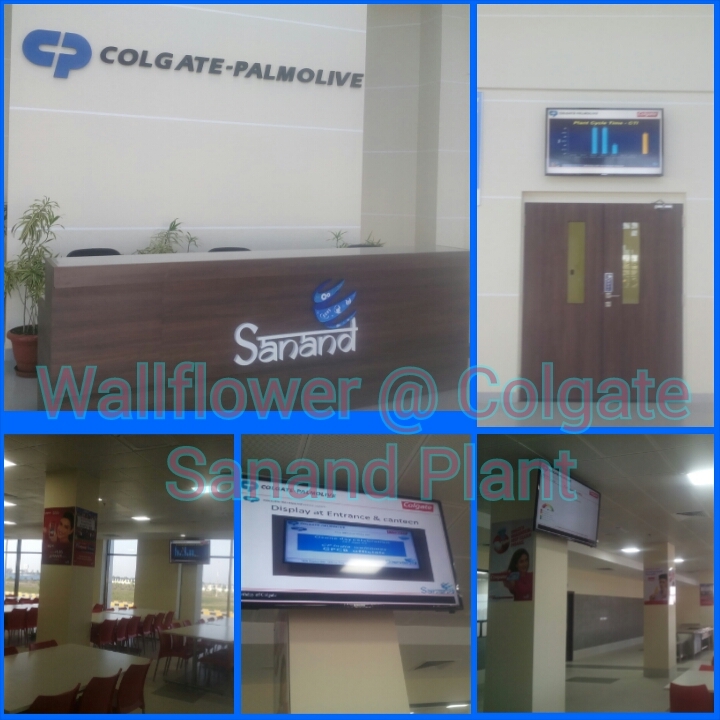 Many displays throughout the plant are running on Wallflower Software.